A report from analytics firm App Annie has stated that the iOS App Store has made revenue of over US$130 billion from July 2010 to December 2017. The report offers a number of incredible statistics, including the fact that 170 billion downloads were made between the same dates mentioned above, and that there are now over two million live apps available on the App Store. Regardless of the popularity of Android and the Google Play Store, there’s no doubt that Apple’s iOS App Store has also been a huge success during its lifetime. 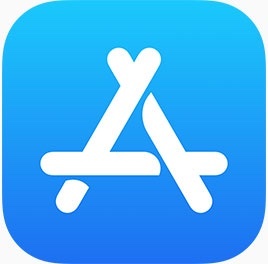 The iOS App Store opened in 2008 with 500 apps available; now in 2018 there are over two million apps for users to choose from. The revenue that Apple has made from this single channel is astonishing. According to the App Annie report, the iOS App Store has been responsible for amassing over US$130 billion in revenue between July 2010 and December 2017. Another remarkable fact is that nearly 10,000 apps have generated over US$1 million in consumer spend each since July 2010. The USA has been the iOS App Store’s top market over the years, followed by China, Japan, the UK, and Russia. The top five markets in regard to consumer spend is almost identical, except that Australia replaces Russia for fifth position. One final astounding estimate made by App Annie in the iOS App Store report is a prediction that worldwide annual revenue for the digital distribution platform could reach US$75.7 billion by 2022. The data goes back to July 2010 as App Annie was only founded in March 2010. Naturally, the total figures for revenue and downloads since the service opened in 2008 would be even greater than those given in the report.